Fall Painting Tips: When is it Too Cold to Paint? There’s a chill in the air and a few leaves are already falling. It’s autumn in the Midwest, meaning time to pick vegetables from the garden, visit an apple orchard or pumpkin patch, and enjoy the fall colors. But it’s also time to check your to-do list and finish up the projects you skipped during the summer. 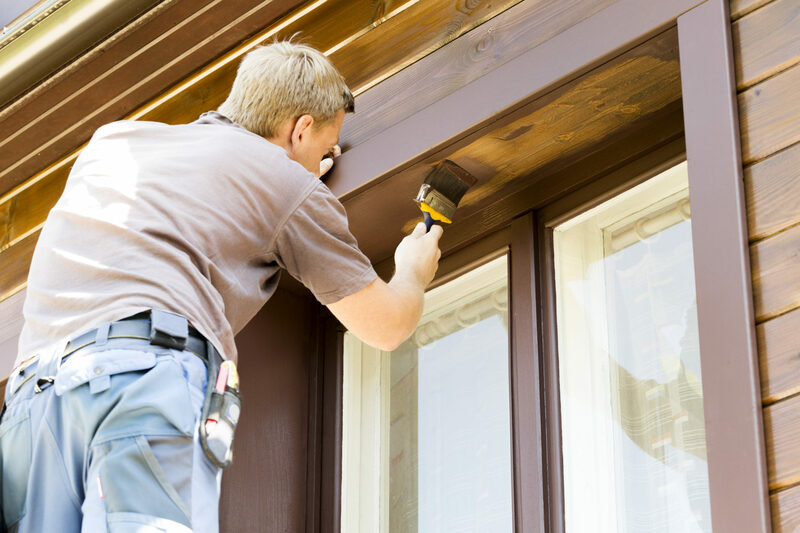 It’s not too late to paint your front door, exterior walls, or outdoor trim, but the clock is ticking. Most exterior paints and stains should not be applied in temperatures lower than 50° F. However, Hirshfield’s Paint Manufacturing has a line of premium 100% acrylic latex paints and primers that have been specially formulated to be used in temperatures as low as 35°F. Temperatures should not drop below 35° for 36 hours after application to allow proper drying and film formation. The best hours to paint in the fall are between 10:00 a.m. and 3:00 p.m.
During this summer’s heatwave, we advised painting in the shade. In the fall months, paint your way around the house in the other direction. Follow the sun to speed up drying times. Paint dries more slowly in lower temps, so if you need a second coat, wait at least 24 hours to let the first coat fully dry. Watch those dew points! Paints, stains, or primers should not be applied unless the surface temperature is at least 5° higher than the dew point. (The dew point is the temperature at which moisture will condense on a surface). Check the wind speeds. During the summer, a nice breeze is harmless. Now, even a 10 mph wind can fling falling leaves onto your wet paint! So be careful! If you have any more painting questions, or need help choosing the perfect fall color, visit our experts in the paint department at your local Hirshfield’s location in Minnesota, Wisconsin, South Dakota, or North Dakota.